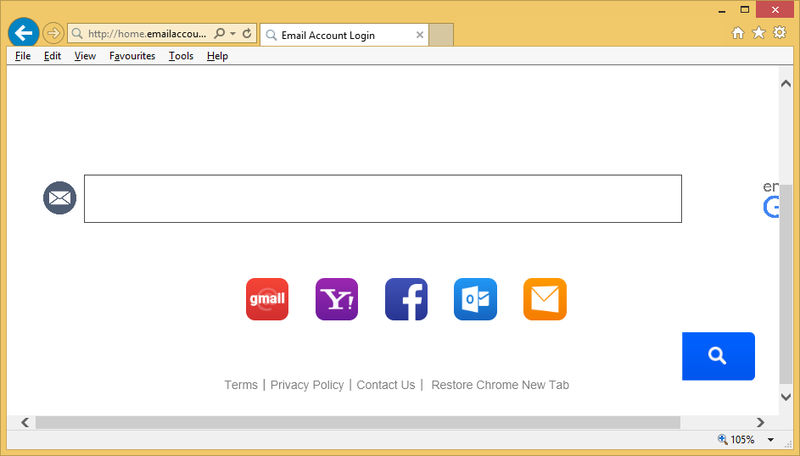 Home.emailaccountlogin.co – How to remove? Email Account Login is a potentially unwanted program that comes with the Home.emailaccountlogin.co browser hijacker. It belongs to Polarity Technologies, Ltd. and is promoted as a tool that can help you access your email accounts faster. The app is compatible with all well-known browsers, in which it appears as a toolbar at the top of the page. It also changes your browser settings, modifies your surfing by flooding you with ads, and more. Although it is not a malicious program, you will have to delete Home.emailaccountlogin.co, if you want to go back to your usual browser settings. As we have already mentioned, Home.emailaccountlogin.co is a part of the potentially unwanted app that most likely arrived onto your PC through other freeware. Email Account Login will present you with quick access links to different email services like Gmail, Yahoo Mail, Outlook, Hotmail, and others. However, it will also modify your browser preferences including your home page and default search provider. These settings will be switched to Home.emailaccountlogin.co. The Home.emailaccountlogin.co webpage looks a lot like any other search portal. It contains a search box, but if you choose to use it, you will get results with sponsored links. In addition to that, the hijacker will also insert advertisements into other pages that have nothing to do with it. That is perfectly understandable as Polarity Technologies aims to make profit by employing the pay-per-click system. For computer users, unfortunately, it means having to deal with never-ending pop-ups, redirects, banners, and other types of ads. Please note that the adverts are not verified by the hijacker’s creators, so they could be fake. Since you alone are responsible for the consequences of clicking on a bogus link, we advise against it. Instead, you should eliminate Home.emailaccountlogin.co from your browsers as soon as you can. In order to get rid of Home.emailaccountlogin.co, you will have to uninstall its related application as well. You can uninstall Email Account Login manually or automatically. If you choose manual Home.emailaccountlogin.co removal option, you are welcome to follow the instructions we have prepared below the article. They will not only explain how to uninstall the unwanted application, but also how to erase Home.emailaccountlogin.co from your browsers. Alternatively, you can terminate Home.emailaccountlogin.co automatically with the help of the malware prevention and removal tool presented on our page. The utility will clean your PC from all potential threats and keep it protected from other online infections.